Are you passionate about the future of Aotearoa and want to make a difference? The Climate Challenge Conference is a celebration of our future leaders, innovators and change-makers. We are a youth-for-youth organisation that aims to challenge the lack of youth involvement in climate change; igniting passion; providing networking opportunities; and equipping students with the leadership skills to create change in their communities. 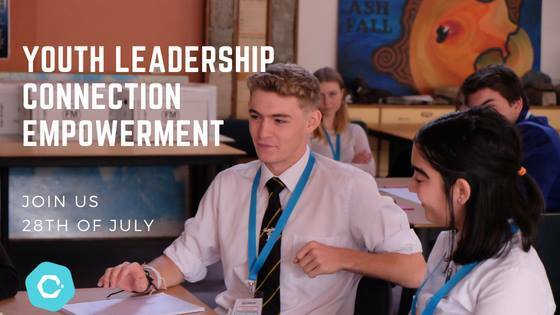 Over 450 high school students have passed through our program and now we’re bringing it to Christchurch! The Christchurch Climate Challenge Conference will include a range of inspiring speakers, skills workshops, an excursion with hands on experience, interactive simulations, an MP panel and much more. Join us! Who: All high schoolers, previous leadership and climate change experience is not a requirement – just a passion for making a difference. If this isn’t you then get in touch to volunteer. How much? Tickets are $10 to cover the costs of everything you’ll need over the event. Scholarships are available. Registrations close on 20th of July at midnight. Spaces are limited so apply now!